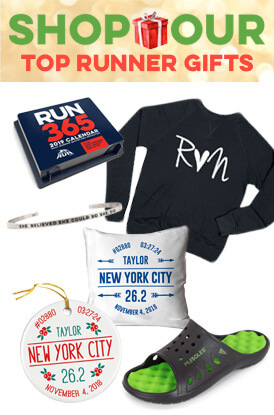 Get everybody in the holiday spirt with our wide assortment of runner's Christmas gifts. Combining the joy of running with the joy of Christmas is a sure way to give cheer among those around you. Our Christmas gifts section is full of running present ideas for family, friends, training buddies and coworkers. 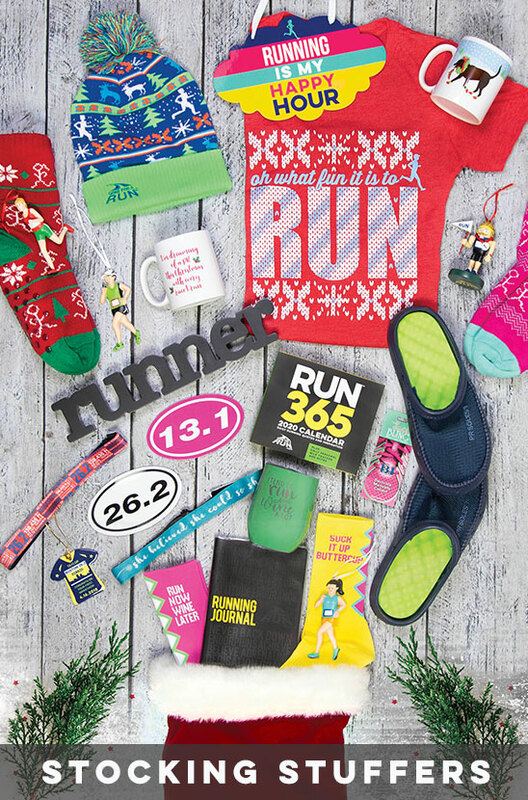 This holiday-themed running gear includes apparel, home décor, stationary and other fun gifts for all ages. Whether you're looking for practical running gifts for Christmas to help someone reach new heights in the coming year or just want to spread tidings of comfort and joy, our team has a runner's present they'll love. You'll be the hit Santa of the season with these unique gifts. Our apparel selection includes Christmas running shirts for men and women, performance socks, headbands and mittens for a joyful run or an office party. We have complete Christmas race outfits as well for your post-presents 5K. If the home is looking a little drab, decorate it with reindeer throw pillows, humorous holiday signs, runner's ornaments, winter fleece blankets and other seasonal goods. Don't forget to browse our Ugly Sweater collection with Christmas running apparel based on the "classic" look. Running friends are sure to get a kick out of our Christmas cards and gift wrap that will have them ready to run the miles. If you're looking for running gifts that aren't cover in red, white, and green, we have those as well. RUNBOX™ gift sets are full of goodies for winter runners, marathon runners and others who want to lace up around the holidays. And our Stocking Stuffer section is full of small trinkets such as winter hats, wine glasses, safety lights and necklaces aimed toward runners. You can find something for every runner on your holiday shopping list when you shop at Gone For A Run. And with low prices and free shipping on qualifying orders, you can afford to get something fun and thoughtful for everyone in time for Christmas.